Francesco Gessi was one of the most talented disciples of Guido Reni (1575– 1642), with whom he collaborated in Rome, Ravenna, Mantua, and Naples. One of the most telling examples of this collaboration is the main altarpiece of San Salvatore, Bologna, representing the Savior and executed by Gessi in 1620 after a drawing by Guido. Although Gessi soon became an independent and successful master in Bologna, he continued to look at his master’s paintings for inspiration and tried to adapt Guido’s style to his own with originality and intelligence. Guido himself admitted that no one was able to imitate him better than Gessi. This Penitent Magdalene confirms Gessi’s constant attention to Guido’s innovations even in the late 1630s and, on this account, it is worth considering in greater detail. To understand the importance of Gessi’s Penitent Magdalene, it is necessary to note that the famous Bolognese painter Elisabetta Sirani (1638–1665) executed a relatively small copy of it (42 x 32 cm.) on copper around 1660 (now in the Pinacoteca Nazionale, Bologna). The picture is first quoted in the 1676 inventory of the belongings of Father Ettore Ghisilieri, Elisabetta’s most enthusiastic supporter and patron: “Una Santa maria madalena si Crede Copia che viene dal Sig.r Guido si figura L. 15 [A Saint Mary Magdalene believed to be a copy after Signor Guido, appraised for Lire 15].” This mention is important for two reasons. First, the painting here is not assigned to Elisabetta while, on the contrary, eight other paintings in the inventory are identified as works by this female artist. In other words, it was dear to the compiler of the inventory that the copper was not an original by Elisabetta, but a copy after another, relevant painting. Secondly, the author of the original after which Elisabetta’s Penitent Magdalene was executed is considered to be Guido Reni only tentatively (“si Crede” or “it is believed”). The hesitation expressed in the 1676 inventory with regard to the author of the original Penitent Magdalene is even more comprehensible now that this painting has been discovered. 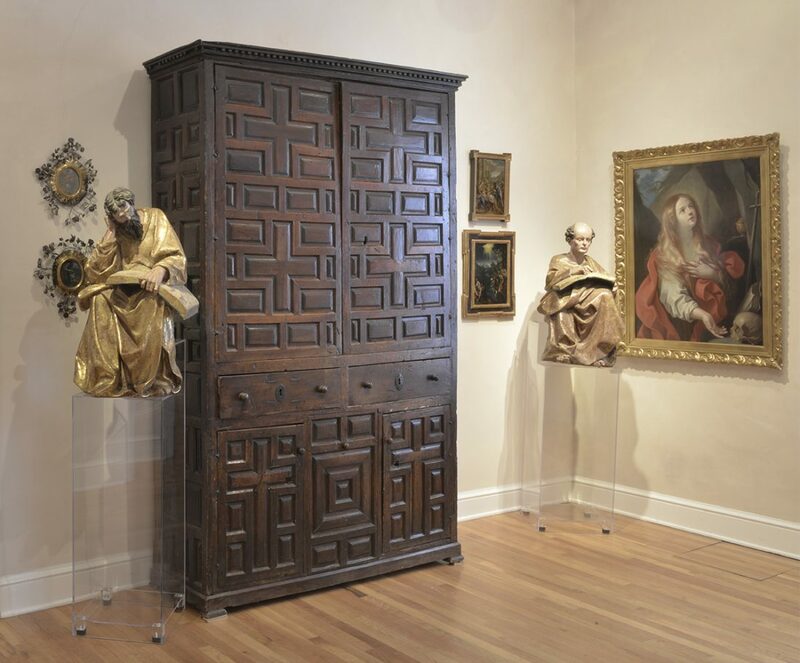 It is indeed puzzling how much Gessi sought here to assimilate the style and elaborate upon the language of Guido’s Magdalenes executed between 1635 and 1640: for instance, the one in a private collection, Milan, and the one formerly at the Heim Gallery, London. Even contemporaries of Guido and Gessi in Bologna might have mistaken Gessi’s painting for an original by Guido, and certainly this was also Gessi’s intention in an obvious competition with his former master. In the vein of Guido’s “second manner,” Gessi attains an almost ethereal simplification of the human figure, shaping the folds of the draperies into quasi-geometrical configurations, reducing the palette to translucent, liquid tonalities, transforming the grotto into a luministic and delicately nuanced backdrop. The extreme elegance of Gessi’s handling can be discerned in the softness with which he renders the figure’s long blond hair, tinged here and there with reddish highlights so as to harmonize it with the red drapery enfolding the penitent. Gessi’s tendency toward abstraction as revealed in this Penitent Magdalene is specific to Guido’s painting of the late 1630s and 1640s and was already out of fashion in the early 1660s, when Elisabetta executed her own copy of the picture. It thus comes as no surprise that Elisabetta gave more physical presence to Gessi’s composition, describing the cave with greater accuracy and renouncing the transparency and delicateness of Gessi’s brushwork. With her fluent impasto, Elisabetta was updating Gessi’s Penitent Magdalene in a neo-Venetian manner. Although the style and chronology of Gessi’s oeuvre need to be reassessed and further explored, it is possible for now to observe some similarities between this Penitent Magdalene and other works by Gessi. The typology of the figure’s face is very close to that of the Virgin in Gessi’s Holy Family with Angels Playing Music (Bologna, Pinacoteca Nazionale), as proven by the “rounded” oval and the dolly-like, pursed little lips. The nearly surrealistic abstraction of the landscape and the geometric interplay of the draperies’ folds can be also found in the Guardian Angel of Castelfranco Emilia (church of Santa Maria Assunta). In the latter panting, Gessi also used a restricted, bright and delicate range of colors. 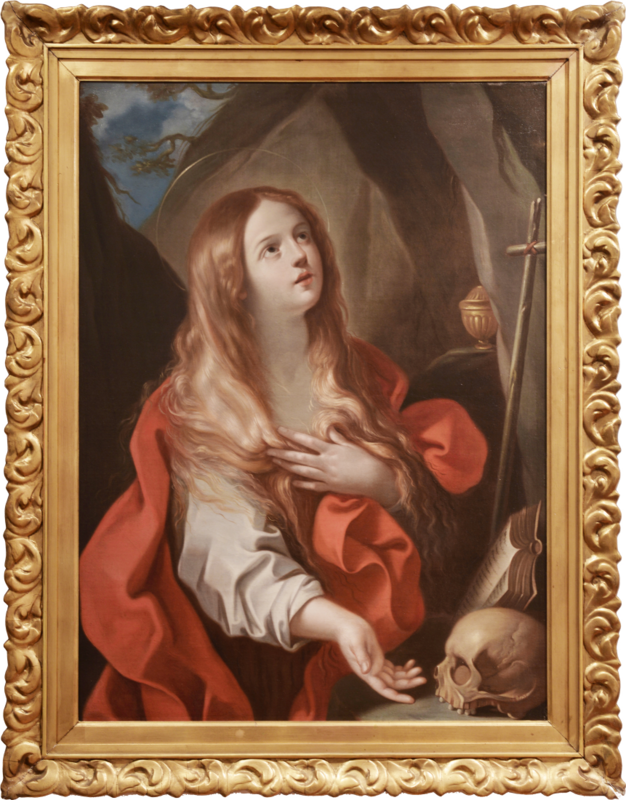 In light of these considerations…the Penitent Magdalene is…one of the most compelling examples of Gessi’s reflection upon Guido’s stylistic innovations in the late 1630s.